The nine member countries of the Shanghai Cooperation Organisation (SCO) will send their delegates for the Youth Leadership Forum being held in Omsk between September 19 and 23. Discussions at the Forum will strengthen cooperation and collaboration between the countries. The Russian city of Omsk will host the SCO Youth Leadership Forum between September 19 and 23, 2016. 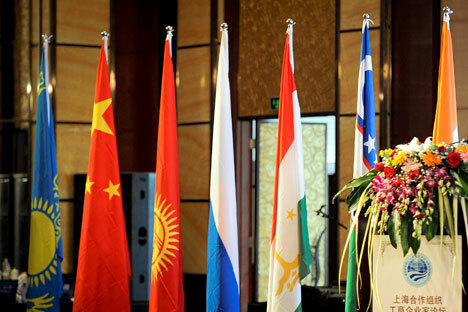 The Forum, within the format of the Shanghai Cooperation Organisation, is designed for youth of SCO nations to meet, discuss and strengthen cultural, scientific, business, and information cooperation between China, Russia, Kazakhstan, Tajikistan, Kyrgyzstan, Uzbekistan, India, Pakistan, and Iran. The Forum will bring together around 150 delegates, including international experts and young leaders from Russia and the other SCO member states. The Forum has a business segment, intended to develop cooperation among the youth in the fields of public diplomacy, entrepreneurship, research and innovation, and media communications. Delegates at the Forum will draw up a comprehensive road map for implementation of at least five international collaborative projects. The Forum will also serve as a starting point for such significant projects as the SCO energy business incubator, and SCO Youth Information Agency. Omsk, one of Russia’s largest cities, is marking its 300th anniversary this year. A cultural and industrial centre of Siberia, the Omsk region fruitfully cooperates with Kazakhstan, a key SCO member state, demonstrating the potential for development of international inter-regional cooperation within the SCO. “We are proud that our region has been chosen as the venue for such a major event of international significance,” said Viktor Nazarov, Governor of the Omsk region. “The Forum will contribute to the development of international cooperation. Today, our countries enjoy good friendly partnership. It is important to preserve it in the future. This largely depends on the initiative, creative, and indifferent youth. I am sure that such people will join us at the Forum,” Nazarov said. “The realities of the modern world encourage the SCO countries to establish a permanent dialogue, to exchange views in an effective way, and to strengthen cooperation. An important role in these processes is assigned to the youth community. During the Forum young people will exchange experiences, knowledge and ideas that will contribute to the expansion of programme and project work within the SCO,” said Pavel Krasnorutskiy, chairperson of the Russian Union of Youth. The SCO Youth Leadership Forum is being organized by the Russian Ministry of Education and Science, the All-Russian public organization “Russian Union of Youth”, the Government of Omsk, and Omsk F. M. Dostoevsky State University. The Russian Union of Youth (RUY) is one of the biggest non-governmental, non-political and non-profit youth organizations in Russia, focusing on providing young Russians with leadership experience through various projects and programmes. More than 4 million young people participate in these projects and programmes every year. RUY has regional offices in 76 regions of Russia with a large number of local offices in schools, colleges, universities and enterprises.